Women with HIV can often notice that they have problems with their skin. Large areas of skin dry up and begin to develop rashes soon after contracting HIV. 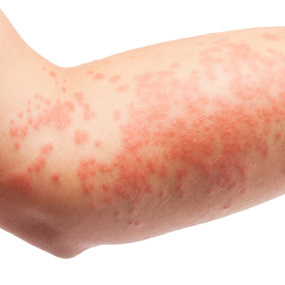 Rashes are one of the most common of the signs and symptoms of HIV, as almost everybody who contracts HIV has had problems with their skin at some point after contracting HIV.